Over the last few years, Seattle has seen a rapid expansion, quickly approaching the 4 million mark and housing almost half of the state’s citizens. That growth, while impressive, can also make it hard to find a place that offers a unique atmosphere to escape to with friends. 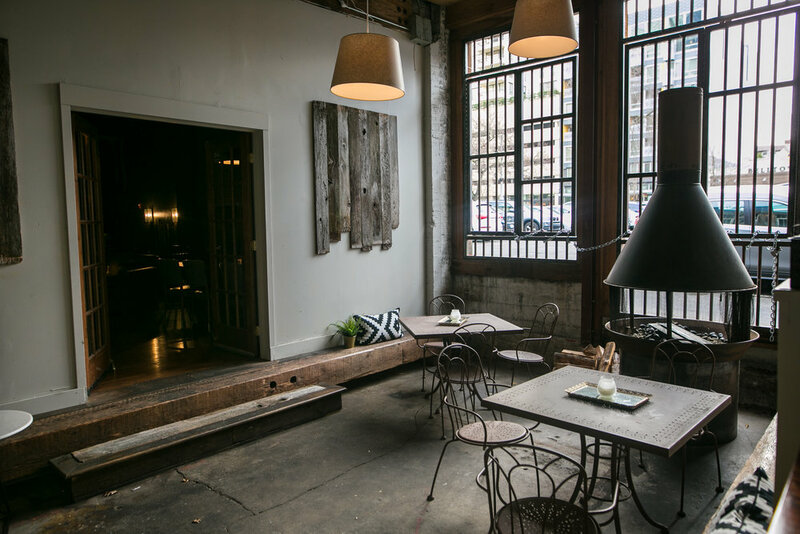 When SEA The City was invited to Belltown to speak to the owners of newly-opened Commonwealth Bourbon bar, we knew we had an amazing opportunity to find that sliver of familiarity and intimacy, created by Amanda and Cory Chigbrow. After meeting the Chigbrows, it was clear in the way they spoke about the city that they were long-time residents of Seattle. They explained that in a city full of people, finding a spot to enjoy a night to relax can be surprisingly challenging. Walking into Commonwealth, there is a sense of privacy and intimacy. It allows customers to leave behind harsh fluorescent office lights and enter soft candle-lit space to enjoy a drink with friends. Perhaps a chair to sit and read a book is all you need. In either case, Commonwealth is happy to welcome you. The crib converted to a couch that has been passed down for generations in Amanda Chigbrow's family. Amanda and Cory have created Commonwealth with a story in mind. Amidst the coved tabletops with high back walls, a family heirloom sits in the corner of the space: the owners have converted a crib passed down for generations into stylish seating for guests. It is a statement about how their origin and roots can come along for every new journey. A worthy reminder of things built to last in this new space. It is only fitting that Amanda should feel at home here. Amanda’s love of hospitality began at a young age when she would attend dinner parties with her family. She found the joy in creating social gatherings and incorporating personal touches that make them memorable. This is perhaps why this Kentucky native included a piece of her family history in the space, as well as her love of craft Bourbon. The Chigbrows also own Pinxto, a spanish-style tapas restaurant known for its gorgeous stained glass adornment behind the bar. It is a beautiful open waterfall of color, which only enhances the delectable spanish dishes. 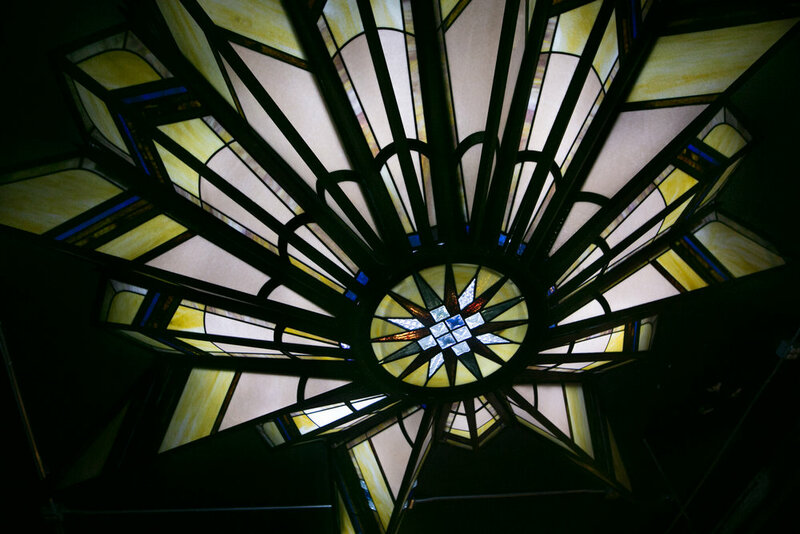 When it came time to create Commonwealth, they found a similar piece from the same artisan, in the form of a stained glass star, recovered and reinstalled. This adds to the ambiance and is reminiscent of their other undertakings in beloved Belltown. Cory and Amanda Chigbrow, owners of Commonwealth Bourbon Bar. The couple’s commitment to the area is also evidenced by their collection of locally crafted pieces displayed and used in their restaurants. Amanda elaborated, noting that while each Seattle neighborhood has a strong sense of community, they were happy to have cultivated their belonging here. 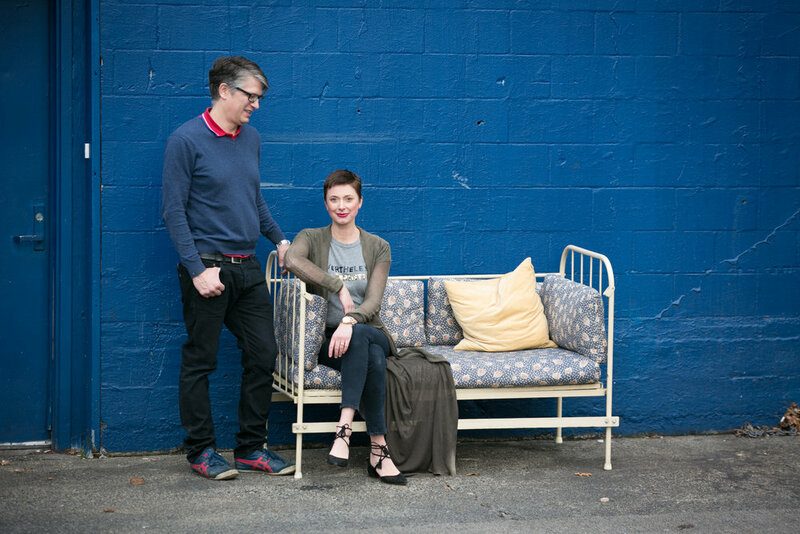 They have seen the evolution of Belltown, having lived and worked around the area for years. This adds another layer to the close to the heart space they are cultivating. Their commitment to the place they love, means as much as their history and the people they have chosen to work with in their businesses. They seek out and hire professionals who are committed to doing their best work in the spaces Cory and Amanda have created. Their menus are inspired collaborations. “These are people who have chosen to be specialists,” they say, referring to their drink crafters, chefs, and staff. The spaces are designed to create moments that turn your day around when it’s difficult or amplify it when it is going great. Individuals who use their energy to brighten someone’s day are just as integral to the tone of the environment. It is the cohesiveness of this endeavor that has made Commonwealth so inviting. The couple beams with pride while talking about the process of menu creation and drink crafting with their team. 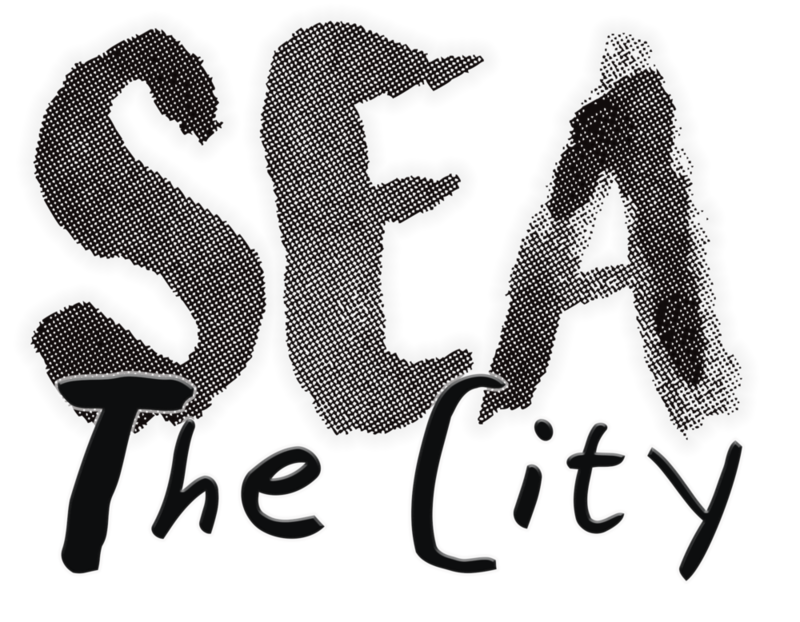 Providing creative license, conversation, collaboration and community, this sounds like the Seattle secret recipe of success. An earmark of good things to come and our hope to see their future ventures brightening more places. Cory and Amanda Chigbrow’s warmth is palpable, authentic and kind, with commitment to Seattle and its citizens. 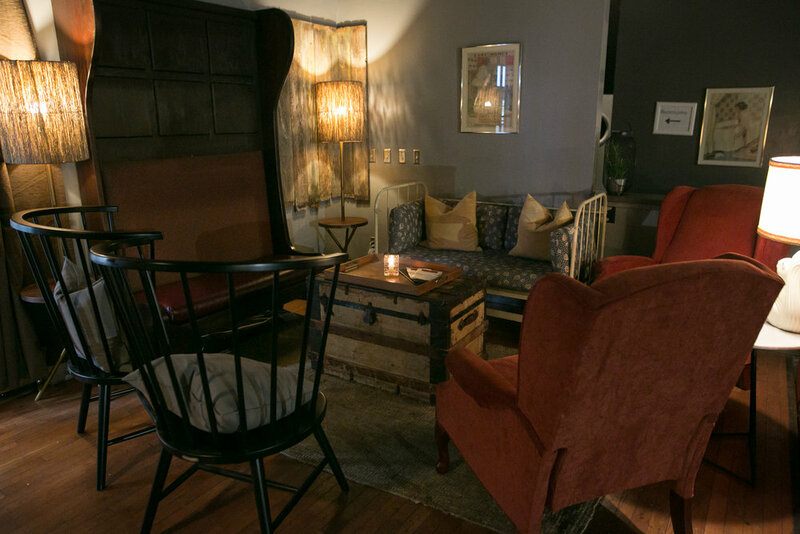 We invite you to settle in to Commonwealth Bourbon bar, and to unwind with old friends in a new space.